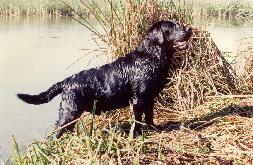 Located in coastal Southern California, Norfield is a small hobby kennel dedicated to preserving the quintessential Labrador Retriever. Norfield was established in 1970, and within several years was fortunate to acquire Spenrock's Dynamo, whose pedigree was entirely Sandylands lineage. Over the past 40 years, Norfield Labradors has relied heavily on related British and Scandinavian imported stock to maintain a high standard of Labrador type, temperament, soundness and working ability.